And, I would have linked to Jacqueline Winspear’s newsletter in which she discusses the background of the book, but the newsletter isn’t up on her website yet. So, I’ll just have to share. The formatting is off because it was taken from my email, but the information is worth sharing. As this is my first newsletter of the year, I would like to wish you all the very best in 2018. May your days be filled with joy, peace, contentment, love and good health—and anything else on your dream list! 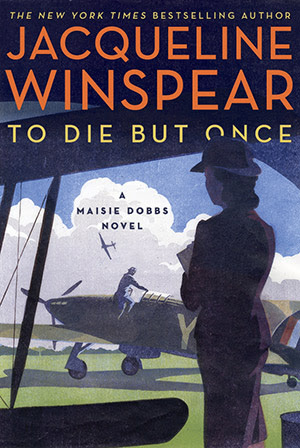 As soon as January rolls around, the final countdown to publication of a new novel in the Maisie Dobbs’ series begins. TO DIE BUT ONCE will be published on March 27th this year, with the accompanying book tour kicking off in Houston on March 26th. I’ll have the full details soon, and will post dates and event locations on my Facebook page as well as on my website and indeed in my next newsletter. TO DIE BUT ONCE opens in May 1940. The British expeditionary force—with Billy Beale’s son among them—is at great risk on the other side of the English Channel, and Maisie’s friend Priscilla is worried about her son, who has joined the RAF. But as the story opens, another young man—the 15-year-old son of a local pub landlord—becomes the focus of Maisie’s concerns. The lad is apprenticed to a firm of painters and decorators that has landed a big government contract to paint the buildings on airfields throughout Britain with fire retardant, and the young man is part of a crew of workmen going from one military airfield to the next, staying in lodgings along the way. His parents have become worried because he seems not to be his usual self—and he’s missed a promised telephone call to let them know he’s well. They are particularly concerned because he’s been suffering pounding headaches. Maisie has seen the lad grow up and has always liked his sunny disposition—so she is determined to find out what has been happening to him. Many of those airfields were situated in southern England where much of TO DIE BUT ONCE is set, though the job took him all over the country. By coincidence, one of my cousins lives in a region where Dad was billeted for a while. 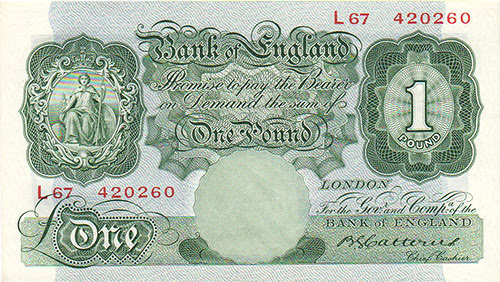 It was when my cousin told me about the area’s links to the Bank of England during the war, that I knew a story was coming together. My father’s apprenticeship was a “protected” position because he was involved in essential government work—if he chose to, he could have remained in that job for the duration of the war and avoided the armed forces completely. But by the age of 17 he’d had enough of going from place to place, so he gave in his notice. His employer told him he was a fool to even think about leaving, but he left anyway—and within one day of being at home, his enlistment papers had arrived. He was off to join the army. My father died at age 85 from a serious blood disorder, and though the strain he was suffering from was termed “idiopathic”—there is no known cause—research has indicated that it is linked to toxin exposure. My father had no idea what was in the fire retardant he worked with for three years when he was little more than a boy, but he told me that the workers were not issued with special masks, or gloves or any of the protective clothing one would expect to use today. 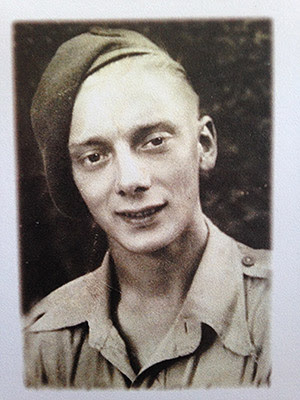 And when I put that together with his later work in the war—in the Royal Electrical and Mechanical Engineers (REME), he was assigned to “explosives’ given his calm demeanor under pressure—and the possible toxins he was exposed to there, I can only conclude that we were lucky to have had him with us for so long. In the next pre-publication newsletter, I’ll be telling you about other themes you’ll find in TO DIE BUT ONCE, and how they were inspired by family stories of the Second World War.